Kapamba Bush Camp is situated in a prime location on the picturesque Kapamba River, the lodge offers the chance to enjoy this untouched corner of the National Park in luxurious surroundings. The well-positioned half-moon deck is the focal point of the camp and serves as both the dining and bar area. Overlooking the Kapamba River, the deck offers an ideal viewing point for the abundant wildlife that comes to drink at the river. Each of the camp’s four chalets is individually designed to offer stunning views of the river, with the open-fronted style ensuring you can enjoy uninterrupted game viewing from the privacy of your own room. The en-suite bathrooms each have a double-sized sunken stone bath and spacious shower and are open-fronted. Solar-paneled lighting, paraffin lanterns and hot and cold running water ensure you won’t have to forgo any level of comfort despite being in a remote and unspoilt location. 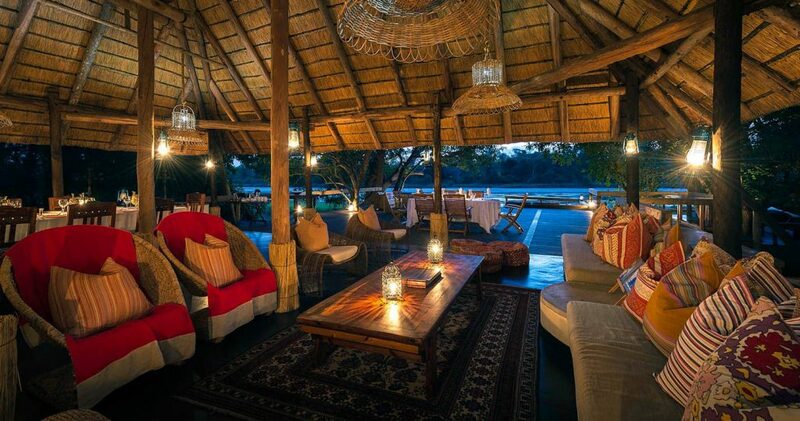 In the remote southern end of the South Luangwa National Park Kapamba Bushcamp is located on the banks of the seasonal Kapamba River. Owned by the Bushcamp Company, the camp is small and stylish, with bright colours and some contemporary furniture, and a clear North African influence in its design. Kapamba’s central area is situated on the edge of the Kapamba River. Built partially of stone, it is open at the sides and front, and has a high thatched roof which makes it feel cool, even during the hotter months towards the end of the year. Wooden rafters, an earthy polished stone floor and a few contemporary, moulded chairs blend in well with the bushcamp style. Emergency expenses such as expenses on chartered helicopter. © Copyright 2018 south lungwana national parkTravel Agency by Rara Theme. Powered by WordPress .